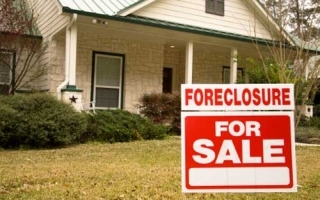 Farragut Foreclosures: What Does “As Is” Really Mean? For many Farragut buyers, the idea of getting a great deal on a foreclosure can be extremely appealing. Compared to other Farragut real estate transactions, Farragut foreclosures can be a very different process and are not necessarily right for every buyer. One important thing about Farragut foreclosure is that they are sold “as is.” So, what does it exactly mean to you as a Farragut buyer if you buy a home “as is”? First, it is important to understand, that when you look at Farragut foreclosures for sale, what you see it truly what you get. For most buyers who haven’t been in foreclosures before, it can be somewhat shocking to see what condition some foreclosures are in. Foreclosures can come in a wide range of conditions, and some are better than others. However, don’t be shocked to find no appliances, counter tops missing, carpet missing, and just overall filth. Just keep in mind, buying a Farragut foreclosure “as is” means you are buying it in that current condition. Second, it is extremely important to get a home inspection. In every real estate transaction, it is extremely important to get a home inspection, but with foreclosures it is even more important. Many foreclosures will sit for months or years at a time without proper maintenance, which is why it is so important to get a home inspection. With the help of a home inspection, you will be aware of any possible major problems that come with the home. If a home inspection reveals any huge problems, you do have the option to walk away from a bad home inspection. Just keep in mind, an “as is” foreclosure means, that there will be no negotiating with the bank about any repairs. Finally, it is important to note that the “as in” condition of a foreclosure doesn’t always vindicate the low price that you will pay for it. In some cases, if you’ll have to put $20,000 in repairs just to make a home liveable, the home might not necessarily be the bargain you were expecting. Certain foreclosures are in better condition that others, for example, Freddie Mac and Fannie Mae foreclosures tend to be in better condition. If you’re interested in buying a Farragut foreclosure, be sure to work with an agent familiar with this transactions. They will be able to give you an honest opinion if the price is worth it, considering the work you’ll have to put into it. Are you thinking about buying a Farragut foreclosure this year? Please let us know if there is anyway that Knoxville Home Team can assist you. Rick can be reached at 865-696-9002 or via email at Rick@KnoxvilleHomeTeam.Com. Kati can be reached at Kati@KnoxvilleHomeTeam.Com. 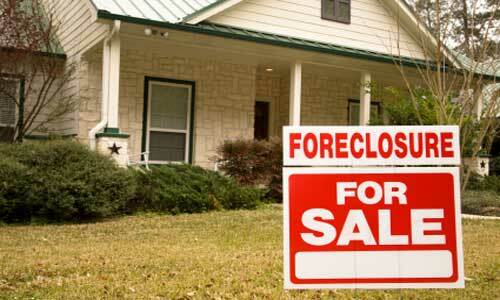 Also, be sure to check out our Farragut Foreclosure Search Page.